Bruschetta is an Italian antipasto consisting of grilled bread topped with tomatoes, olive oil, salt and pepper. Traditionally served as an appetizer or a light snack, other variations may include toppings such as cured meats, cheese, fresh fruits and even beans. 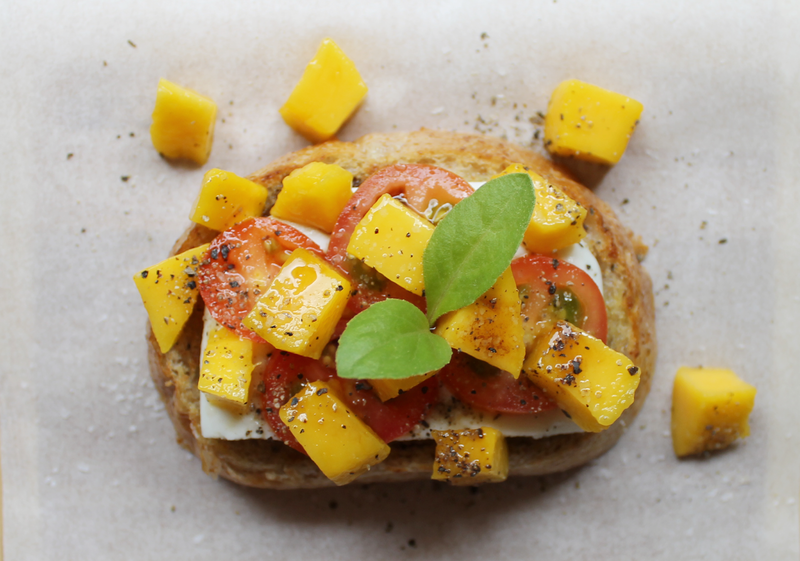 Tomatoes and mangoes go perfectly well together. Sweet, sour and a hint of savory, this easy bruschetta recipe is one of our favorites. We’ve also added some creamy kesong puti to add a salty bite, too. It’s simple to make, no cooking involved and once you’ve put it together, it looks seriously impressive just like the ones served in fancy restaurants. Best eaten with your fingers, no fork and knife necessary! Slice baguette and toast with olive oil or butter. Arrange on a serving platter. 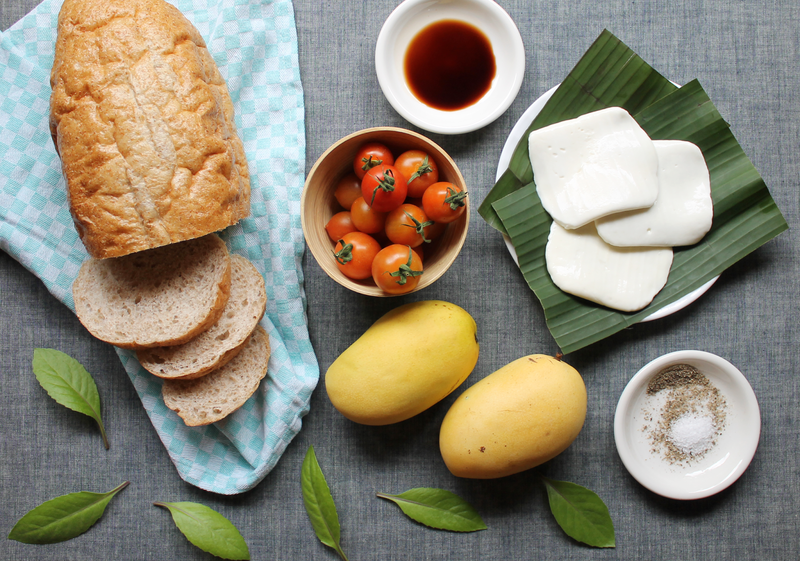 Top each toasted bread with sliced kesong puti, tomatoes, cubed mangoes. Drizzle with balsamic vinegar and sprinkle generously with salt and pepper. Garnish with Ashitaba leaves. Serve immediately.